Amazon has added so many benefits to Prime that they’ve become hard to keep track of, so we’re rounding them up for you, and will update this post as new ones roll out. Sadly, we can’t list drone delivery as a perk just yet. Amazon Prime is best known for its free two-day shipping in the lower 48 states. Their shipping estimates are highly reliable, and if you don’t need your items right away, you can choose a slower shipping method and get yourself some kind of credit (categories and values rotate). You might even be able to trick the system into giving you the fast shipping and the credit. If Amazon does fail to get you your items on time, you can get get your Prime membership extended. Residents of a few major cities can now select same day delivery, and also take advantage of the new Amazon Fresh grocery delivery service, while those outside of the current range of Amazon Fresh can still use Amazon Pantry. In some of those same select cities, customers can opt for Prime Now and get their items in an hour or less for a small fee, or within a few hours for free. Just remember to tip. 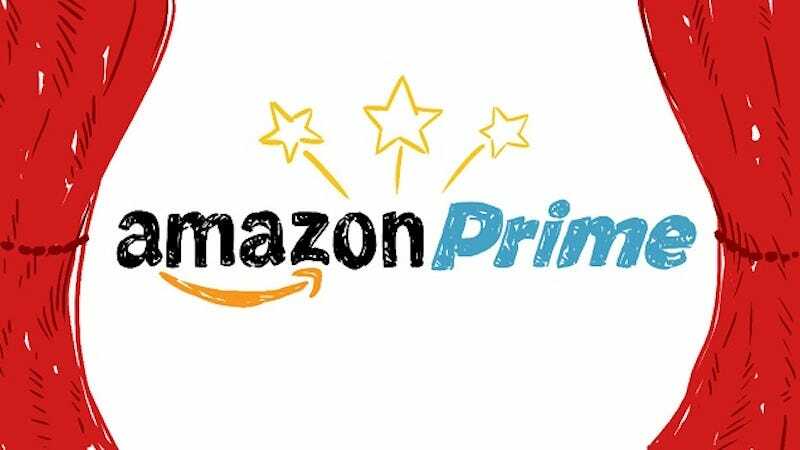 Subscribers can also look forward to Prime’s free shipping service coming to other sites. Amazon Instant Video was playing catch up to Netflix for a while, but with great shows like Transparent and Catastrophe, the huge addition of HBO back catalog content, and numerous exclusives, Amazon Instant Video stands on its own as an impressive streaming service. If Amazon Instant Video has what you want, or at least enough of what you want, you could in theory cancel cable, Netflix, and HBO, resulting in savings that would cover the cost of Prime multiple times over. The addition of offline playback for Prime subscribers was the most exciting thing to happen in streaming video since streaming video, and it’s available on a lot more content than Netflix’s similar offering. Amazon and JetBlue have also announced a partnership to offer Prime members free access to Prime Instant Video during their flights, along with free faster Wifi. Prime members are eligible for a $10 credit with preorders of select video games, including certain digital downloads. You can find the full list of eligible titles here, just note that you won’t receive the credit in your account until 30-35 days after the game ships, and it expires after 60 days. If you’re a Prime member, anything you watch on Twitch will be ad-free, and you’ll also get access to some free games and in-game items. Amazon Prime Music boasts “one million free songs” for Prime subscribers. Like the comparison between Netflix and Prime Instant Video, whether Prime Music has everything you need is subjective, but if it does, you could cancel your subscription to services like Spotify, or at least knock them down to the free tier, further ameliorating the cost of Prime. While the audiobook store Audible is primarily a separate service from Amazon Prime, Prime members do get free access to Audible Channels, which includes a selection of spoken news stories, podcasts, and other short form audio content. If you’re already paying for Prime you can store all of your photos in Amazon’s cloud for free, and then sync them to any device. Depending on what else you’re putting in various clouds, this bonus might enable you to stop paying for the premium tiers of whatever storage services you’ve been using. You also get 5GB of storage to use for whatever you want, in addition to the unlimited photo storage. If most of your cloud-stored files are photos, you might be able to do away with premium tiers of other services like Dropbox and Google Drive. Plus, you can even invite up to five friends and family members to to share your space. The Kindle Lending Library lets owners of Kindle devices who are also Prime subscribers borrow from a selection of over 600,000 books at no additional charge. The Kindle First program also lets users buy one of four “Editors’ Pick” e-books a month ahead of official release for $2 — or free, for Prime members. In addition to the lending library, Prime members can also download a rotating selection of over 1,000 books, magazines, and comics through the Prime Reading program. The selection is significantly smaller than the Lending Library, but doesn’t limit you to one download per month. In the last several weeks Amazon has really ramped up their offering of exclusive deals for Prime subscribers, with steep video game preorder discounts as well as everything from sound bars to blenders. At the same time, Amazon has made headlines with deep preorder discounts on their first-party hardware like the Fire Stick (a discount which made it our most popular product of 2014), and the Amazon Echo. Prime members can also check out a lot of Lightning Deals 30 minutes before everyone else. And of course, there’s Prime Day, Amazon’s mid-year day of deals with all the agonies and ecstasies of a Black Friday. But of course, only Prime members have access to the deals. Looking for Prime Day 2019? Here’s when we think it will be. A few credit cards have been offering cash back bonuses on Amazon for years, but Amazon recently rendered them all unnecessary with the Prime Store Card and Amazon Prime Rewards Visa, both of which offer 5% cash back on every Amazon purchase year-round. That’s another 5% off on top of the great deals we cover every day on Kinja Deals. The Prime Store Card can only be used on Amazon, but the Amazon Prime Rewards Visa is a real credit card, and also gets you 5% back at Whole Foods, and 2% back at restaurants, gas stations, and drug stores. Prime members get 6 months of Jeff Bezos’ paper of record, the Washington Post, a $60 value, for free. Once the 6 months expire, subscribers have the option to continue the Post subscription for $4/month, compared to the usual $10/month. Amazon is rolling out an extra 10% off sale items at Whole Foods, just for Prime members. The program will be piloted in Florida, but is expected to roll out nationwide over the summer. Other Amazon Prime discounts are available to students, holders of certain credit cards, and AT&T customers. Amazon has preorder price guarantee for books, movies, video games, and the like, and doesn’t charge your card until an item ships. Amazon Family offers exclusive deals and discounted subscriptions on items like diapers. Amazon Prime is clearly an amazing deal at $119, even if we do long for the halcyon days of $79 annual memberships. We don’t expect the roll out of Prime benefits to slow down anytime soon, and we’ll keep you updated accordingly.